People who swear by this cult film are going to take me off their invite-list, but I think 1972s The Ruling Class is pretty much a wanker. An insane aristocrat inherits an estate, and the other relatives conspire against him. Long, labored, obvious assault on the English elite leaves some in stitches, but after a few smiles I began to grimace, and I’m all in favor of waging class warfare. 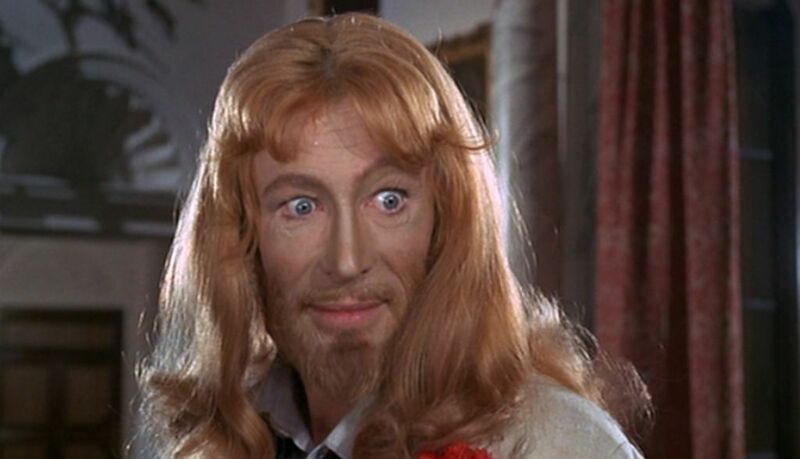 Peter O’Toole got nominated again, and he certainly pulls out the stops, frantically. The only reason I’d give this movie a peek is for O’Toole’s flamboyance. His fellow lampooners include Alistair Sim, Coral Browne, Harry Andrews, Arthur Lowe, Michael Bryant and Nigel Green. 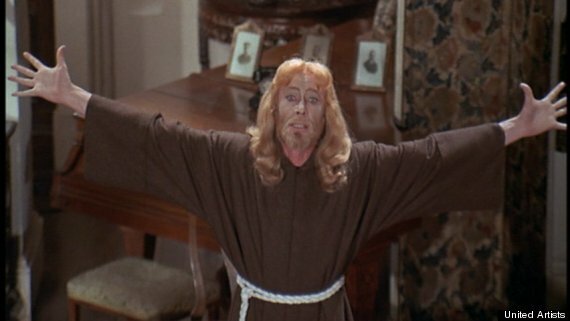 Peter Medak directed, terribly: much of the blame for the film’s failure to move is his refusal to move the camera—most of it is shot thirty feet from the actors, and things just hang there, while you strain forward trying to will close-ups so that the jokes deliver. It’s all very pleased with itself, in a Pythonesque way (no compliment), and at two hours and thirty-four minutes—egad, already. The setting, some giant, sprawling English country manor, may please those who like that sort of ostentatiousness in architecture: I find it as cold as the films heart. “Off with their heads”, for sure, but torture them with this movie first. In the States, it came in 90th place for the year, making $2,700,000.